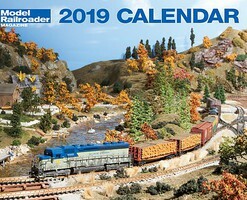 Shop online for 118 kalmbach model trains at discounts up to 24%. This is a 72 page guide to 101 Model Railroading Track Plans from Kalmbach Books. This is The Model Railroaders's Mid-Size Track Plans for Realistic Layouts by Bernard Kempinski from Kalmbach Books. 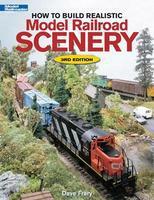 "How to Build Realistic Model Railroad Scenery" 3rd Edition is a Model Railroader Book from the Kalmbach Publishing Company. Author: Dave Frary. 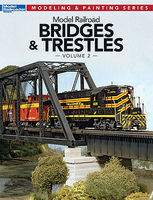 This is the "Model Railroad Bridges and Trestles" Volume 2 Book from Kalmbach. The "Basic Structure Modeling for Model Railroaders" is a Model Railroader Book from Kalmbach Publishing Company. 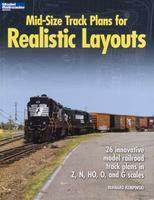 Author: Jeff Wilson Perfect for All Railroad Modelers. "The Model Railroader's Guide to Bridges, Trestles & Tunnels" is a Model Railroader Book from Kalmbach Publishing Company. Author: Jeff Wilson Perfect for Intermediate & Skilled Beginning Model Railroaders. This is the "Big Boy: On the Road to Restoration" DVD from Trains by Kalmbach. This is the Great Weathering Technique DVD by Kalmbach. This is the "Workshop Tips & Projects for Model Railroaders" Book from Model Railroader by Kalmbach. Author: Cody Grivno. This is the Model Railroader's "Starter Track Plans for the Model Railroaders" book by Kalmbach. 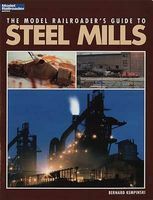 "The Model Railroader's Guide to Industries Along the Tracks 2" is a Model Railroader Book from Kalmbach Publishing Company. Author: Jeff Wilson. This is "Basic DCC Wiring For Your Model Railroad" Model Railroader Book from Kalmbach Publishing Company. Author: Mike Polsgrove.